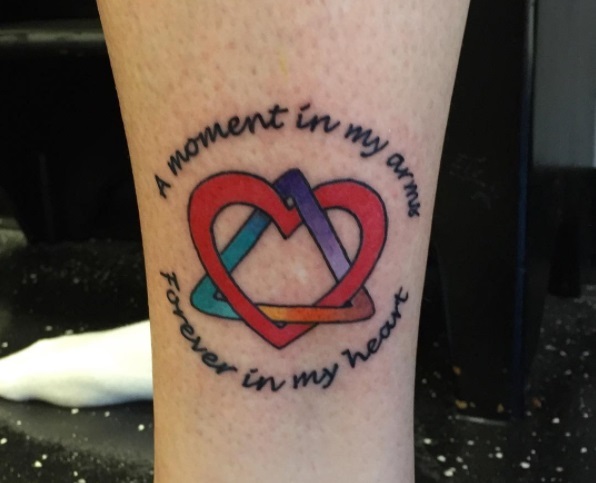 It’s National Adoption Month, and it’s the perfect time to express your adoption pride. 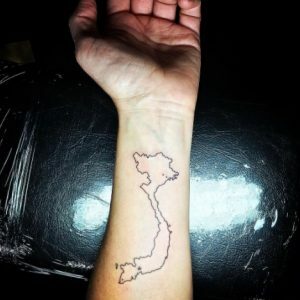 Many people choose to do this in a very permanent and meaningful way– through adoption tattoos. 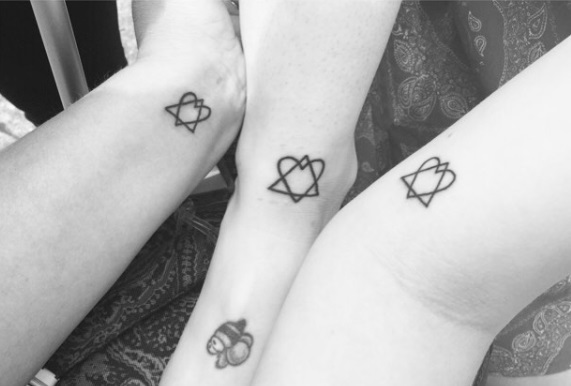 These 8 adoption tattoo ideas may even inspire you to get inked yourself! 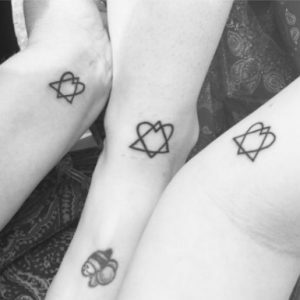 Some people keep it simple, but get their adoption symbol tattoos together like this birth mother, adoptive mother, and adoptee did! Roman numerals of a birth or adoption date can be a more subtle, but equally powerful way to honor an adoption, and a great option if your adoption story is a more private one and you don’t want the world to know your adoption tattoo meaning. 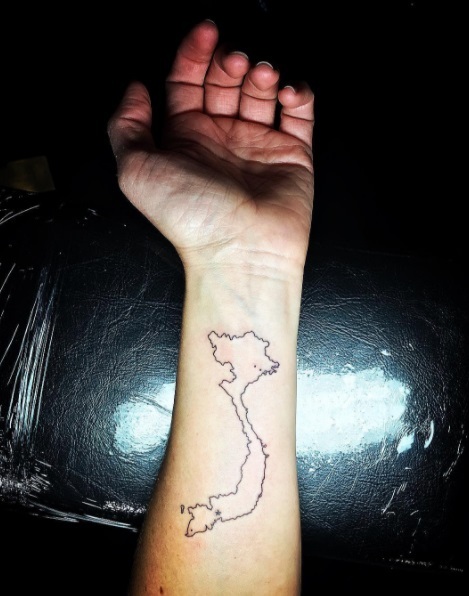 Families who’ve been touched by international adoption may find inspiration in this simple line piece of Vietnam, with little stars indicating the birthplace of this adoptive mom’s children. This could even work if you adopted your child from another state! 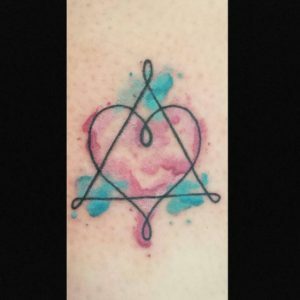 Always wanted to commit to a sleeve? This is a beautiful (and meaningful) piece you could start with! Tattoos for adoption can easily be incorporated into a larger design. 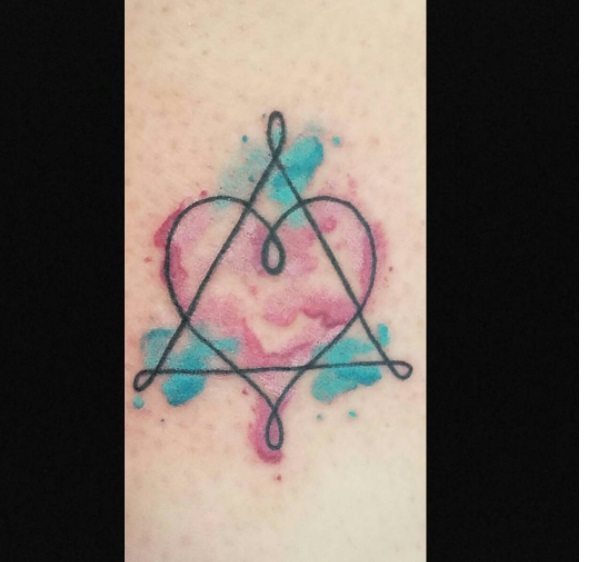 This adoption symbol tattoo takes the traditional symbol for the adoption triad and gives it a fresh take with the popular watercolor tattoo trend. 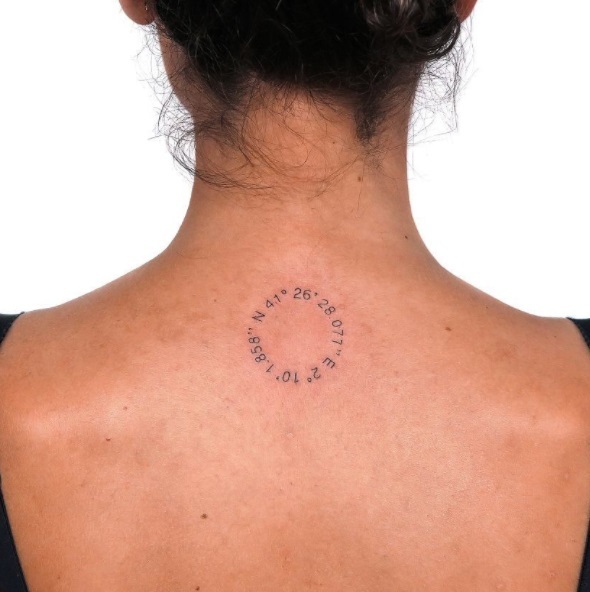 Adoption quote tattoos can either stand alone or be paired with an image. 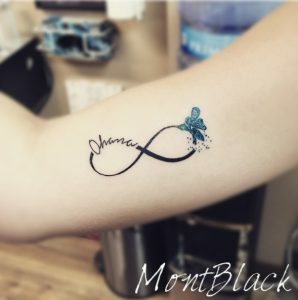 Infinity symbols are versatile enough that you can incorporate birth or adoption dates, initials, short quotes or words, like this “Ohana” tattoo, which is one of the more popular adoption tattoo quotes. 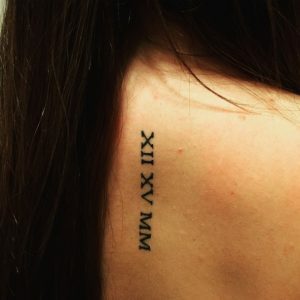 A simple set of coordinates that’s important to everyone in your adoption journey, like location of the hospital where the birth and adoptive family first met before their child was born, for example, can be a wonderful link to share with each other. 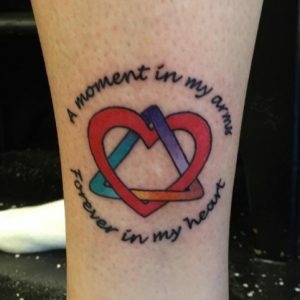 Tattoos about adoption are meant to be representative of the wearer’s personal experience with adoption, so each is unique! 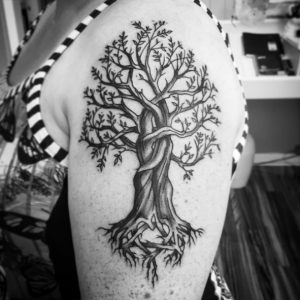 Getting an adoption tattoo can be a tangible expression of the bond that’s shared between birth family, adoptive family, and adoptees. What do you think? Would you consider getting a tattoo to honor your adoption this National Adoption Month?